Do you want to add a WordPress text only carousel slider on your site? Text carousels are used to display quotes, customer testimonials and other content beautifully. 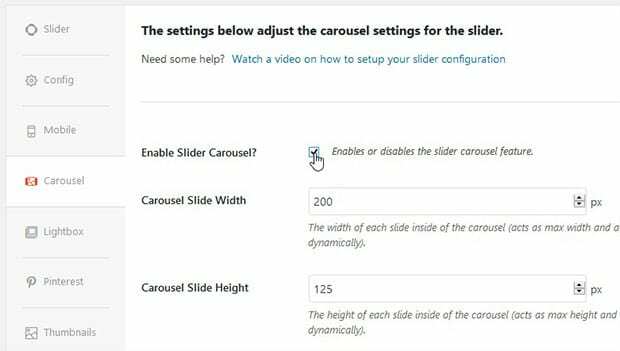 In this tutorial, we will share how to create a text only carousel slider in WordPress. 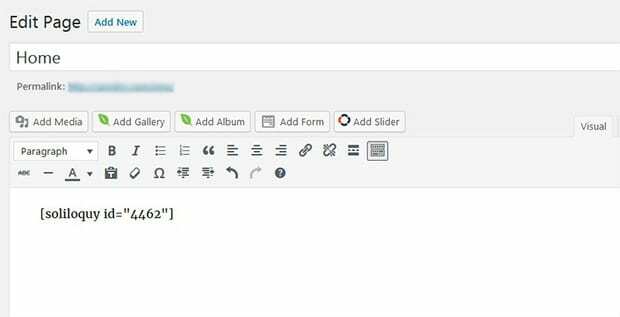 You may know that there’s no default option to create an image slider in WordPress. It is recommended to use Soliloquy slider plugin that comes with tons of amazing features like carousels, lightbox popups, gallery sliders and more. 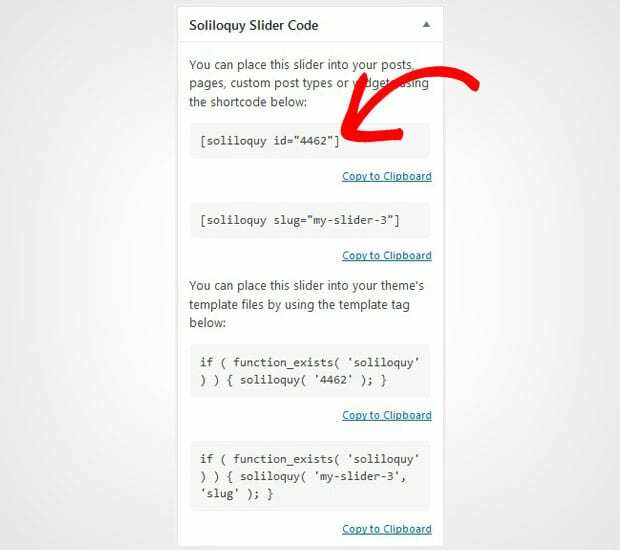 The first thing you need to do is install and activate Soliloquy slider plugin on your WordPress admin backend. 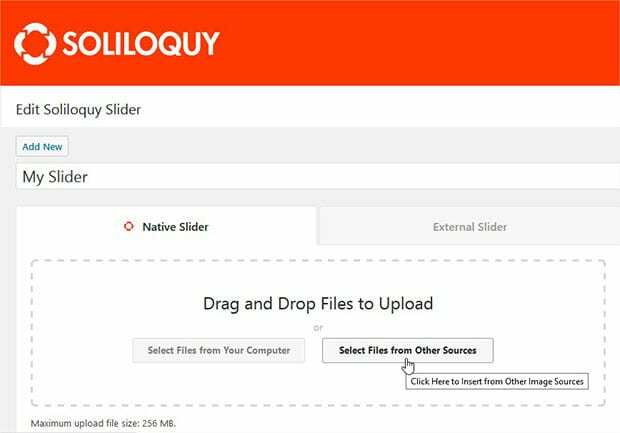 To know how to install the plugin, you should check out this complete Soliloquy installation guide. Upon activating the plugin, simply go to Soliloquy » Addons to install and activate the Carousels addon. To access this addon, you must have Soliloquy’s Developer or Master license. Don’t have the same? You can easily upgrade the license from here. This addon will allow you to add simple text only WordPress carousel slider on your website. Now go to Soliloquy » Add New from your WordPress admin. Add a title to the new slider and click on the Select Files from Other Sources button. A popup will open where you need click on Insert HTML Slide option. 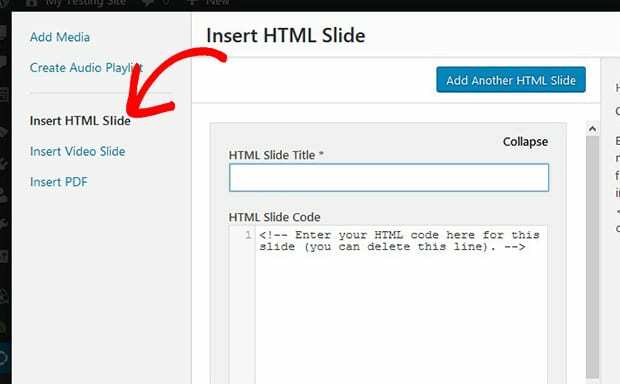 Give a title to your HTML slide and write the text in the HTML Slide Code field. 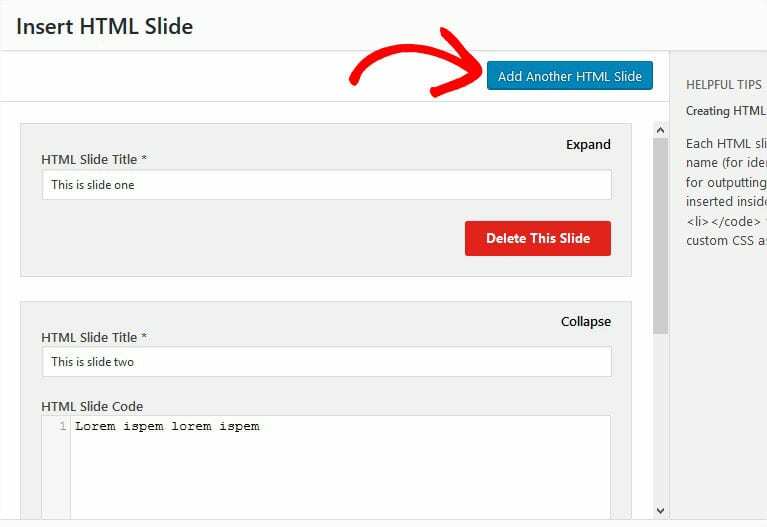 You can add multiple slides by clicking on the Add Another HTML Slide button. The title and text will be different for each slide. After adding all the slides, simply click on the Insert into Slider button to save your slides. Simply go to Carousels tab and check mark on the Enable Slider Carousel option. Once you are done with all the settings, go ahead and hit the Publish button. Copy the shortcode from the Soliloquy Slider Code widget. Now go to Pages/Posts » Add New or edit an existing page/post. Simply paste the shortcode in the visual editor. We hope this tutorial has helped you to learn how to create a text only carousel slider in WordPress. You may also want to check out our guide on how to create a WordPress RSS slider. If your slider images are not loading fast, then you should check out this ultimate guide to boost speed and performance. Hello , can you help me to create animated text by slides ? ?